Had a fantastic time at Hammock Beach! Had a fantastic time at Hammock Beach! What a beautiful spot. We will definitely return. We stayed in the Yacht Club part of the resort. The accomodations were very nice. The biggest negative is that you are about 5 minutes by car from the resort - which is a pain if you want to spend time over at the main pools and/or ocean golf course. If you have stayed at Hammock Beach Resort, we would like to hear from you. Resort fee included in rate. Hammock Beach Resort has been named the top Florida resort in the Continental U.S. on Travel + Leisure's 2014 "World's Best Awards" list. The acclaimed golf resort in Palm Coast ranks number 33 nationwide and is the highest-ranking Florida resort in its category. It is a rare sanctuary of sapphire ocean views, Old World charm and pampering service. Set upon one of Florida's most pristine stretches of Atlantic coastline, this luxurious resort is a haven of refined elegance to please all members of your golf group. You'll enjoy accommodations that feature balconies overlooking the ocean, the Intracoastal or golf course, as well as a superior guest experience. Choose an expansive three or four-bedroom suite, three-bedroom villa, or single/double accommodations in our one-bedroom suites and ocean front Lodge rooms. DVD/CD players, iron/ironing board, hair dryers, in-room safes, bathrobes, umbrellas, and all kitchenware, dishware, silverware and cooking utensils are standard in all villas and suites, and housekeeping service is provided daily. 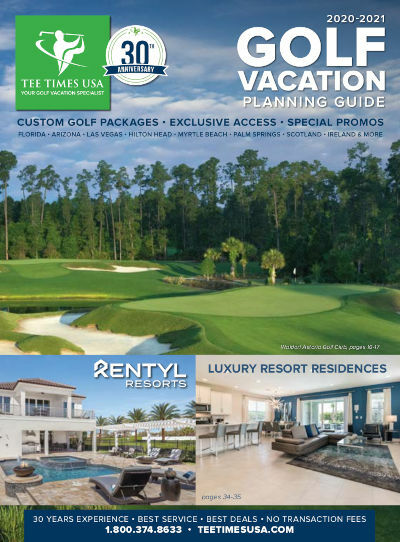 Aside from golf, Hammock Beach has countless other amenities, including a nine-hole putting course, a multi-level water and swim pavilion, eight lighted Hydro-Grid tennis courts, direct beach access and an opulent spa and fitness center. The resort offers a myriad of dining options with the Seaside Grille & the intimate Sushi Bar; the Atlantic Grille, located in the Lodge at Hammock Beach and the Ocean Bar Cafe at the heart of the water park complex serving casual fare with `Floribbean' flair. An easy drive from historic St. Augustine and Daytona Beach, Hammock Beach Resort is the ultimate Florida beach paradise.